Anastasia Tjendri-Liew’s interest in food was evident when she was a child. Instead of taking the bus, she sometimes walked to school so that she could use her bus fare to buy food. Her favourites were fried noodles and pempek, a fishcake delicacy of Palembang, the Indonesian city where she grew up. But while she enjoyed learning how to cook in her mother’s kitchen, Anastasia’s childhood dream was to be a pharmacist. Little did she know that she would one day start a bakery business that would become one of Singapore’s most successful bakery chains. Born on Bangka Island, Indonesia, in 1947, Anastasia was the third of eight children and grew up in Palembang where her father ran a provision shop while her mother was a homemaker. After she completed secondary school, she did a six-month baking and cooking course to hone the culinary skills she had picked up from her mother and aunt. She then ran small cooking classes at the family home. She was such an effective teacher that more and more people signed up for her classes. The additional income meant she could buy the freshest ingredients, and she experimented with new recipes and improved old ones. 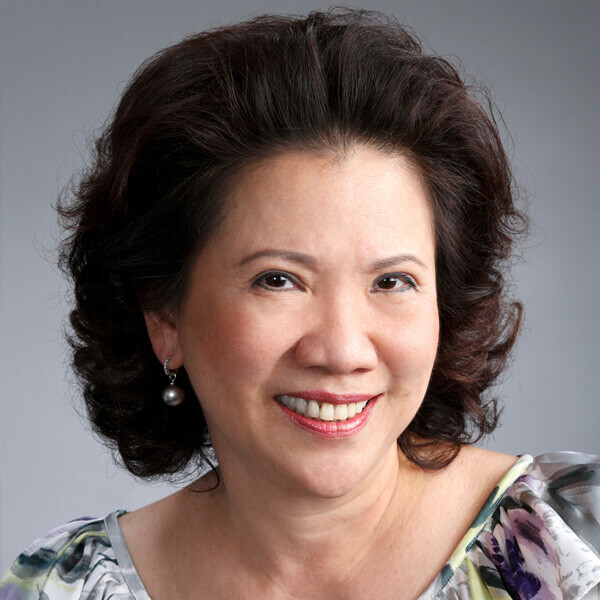 In 1970, Anastasia came to Singapore to improve her English. Here she met and married Johnson Liew, whose family had moved to Singapore from Indonesia when he was five years old. They had two children and Anastasia settled into domestic life in their Marine Parade flat. But she was a woman born to bake, and soon she was making butter and chiffon cakes and kueh lapis, selling them to friends. These friends told their friends, and before long she was supplying her products to shops and supermarkets. Then, in 1979, health inspectors told her she could not continue her business from her home kitchen without a food manufacturing licence. She had not realised that she needed a licence, and she immediately stopped baking. But her customers kept asking for her cakes and kueh, so in 1979 she opened a shop in Marine Terrace. She named it Bengawan Solo, after the popular Indonesian folk song about Indonesia’s Solo River. She concentrated on improving her products, adjusting recipes and baking methods to achieve the best possible taste and texture, and her customers loved what she produced. 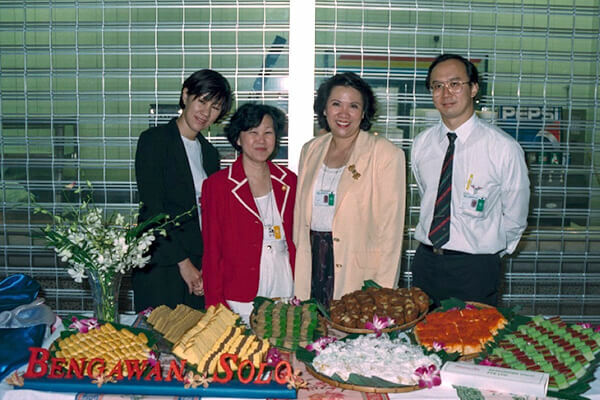 Four years later, in 1983, she opened her second Bengawan Solo outlet, at the Centrepoint shopping centre on Orchard Road. There are now more than 40 Bengawan Solo outlets island-wide. Anastasia continues to run the business with the help of her son, Henry. She still pays close attention to quality control and ensures that the best ingredients are used. When customers complained about a dip in the quality of the cakes following a major expansion of outlets in the 1990s, she personally studied the manufacturing and operational processes and instituted a standards system. Customer feedback is taken very seriously, and Anastasia conducts daily inspections of the company’s factory in Woodlands. While some of the operations at the factory are automated, most of the items are still handmade or hand-finished. This is the only way, says Anastasia, to ensure that the kueh-kueh is of the right texture. In 1998, Anastasia was the first recipient of the Association of Small and Medium Enterprises’ Woman Entrepreneur of the Year Award. 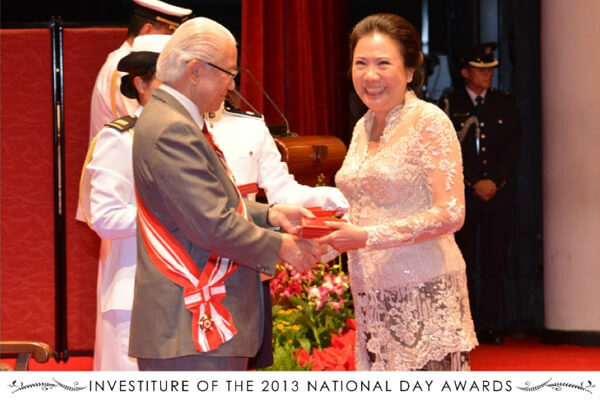 In the same year, she was also a finalist for the Rotary-A SME Entrepreneur of the Year Award. She was awarded the Public Service Medal in 2008.